I think you're probably right that some of this is a soundstage--the harbor part is almost certainly rigged--but a pal of mine, who bought a house on Sanders in the early 1980s, rec'd stories from his elderly neighbors about the filming. In other words, my info is secondhand, but there must be something to it. 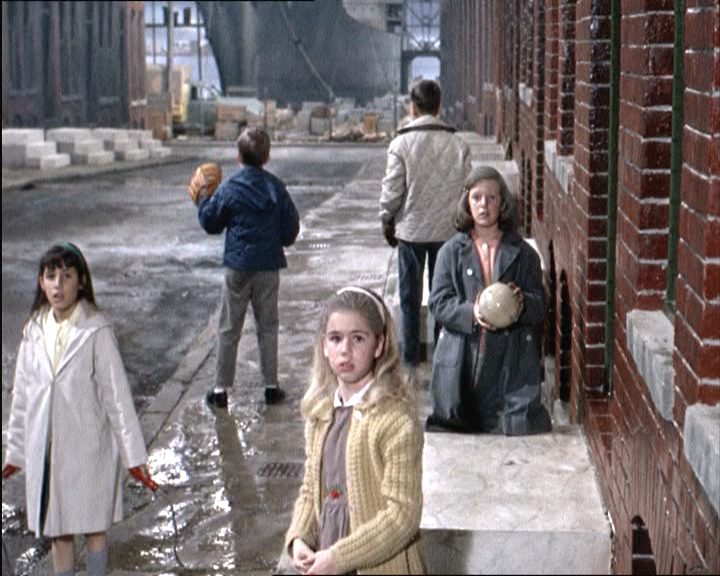 The scenes of Mrs. Edgar's Baltimore street and the adjacent harbor in Marnie are most definitely studio sets created at Universal in 1963. Unit Manager Hilton Green stated that Baltimore locations were offered to be scouted but the second unit did not go there. Hitchcock was fascinated by the white front steps in which many Baltimore residents took pride and mentioned, in pre-production conferences, his desire that they be included in the Baltimore set. 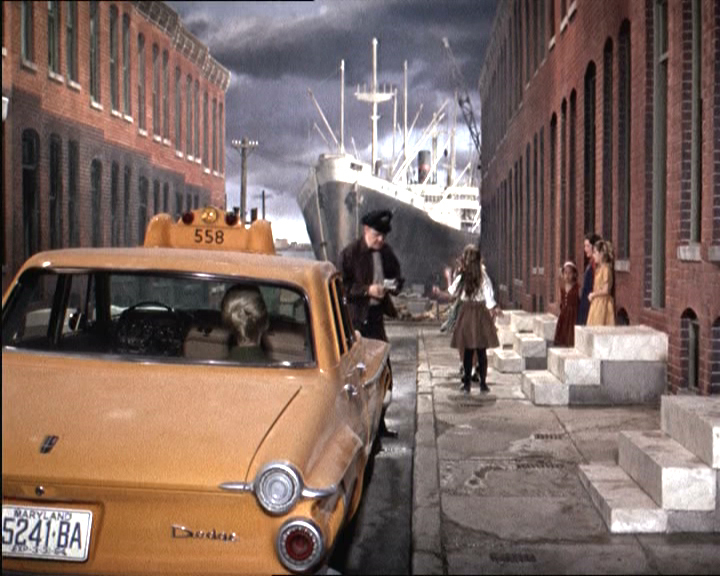 Sanders Street may indeed have been one of the locations studied (at least in photographs if not in person) as it no doubt beats a resemblance to "Van Buren Street" in the film although it doesn't have those white steps. 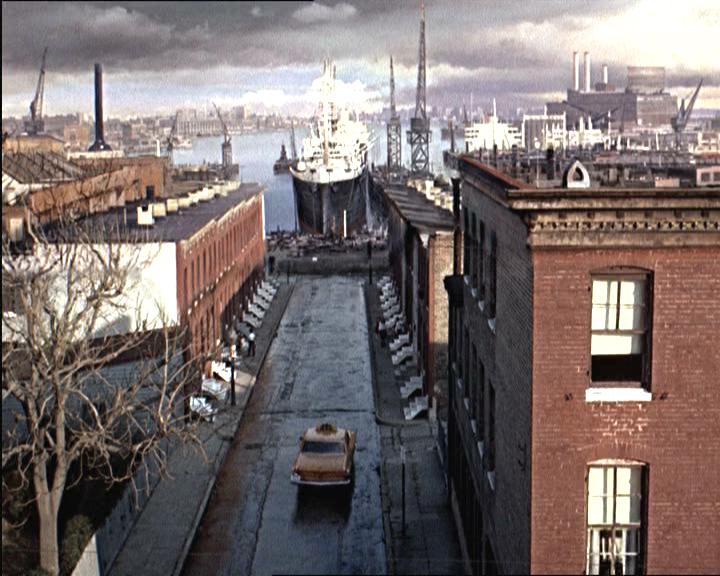 Matte paintings and painted backdrops provide the ships in dock at the end of the street and the panoramic view of the harbor. Real locations used in Marnie are the Red Fox Inn at Middleburg (exterior), 30th Street Station in Philadelphia (exterior), Atlantic City Race Course (exterior) and those locations providing the process photography (rear projection) for driving scenes and the hunt. 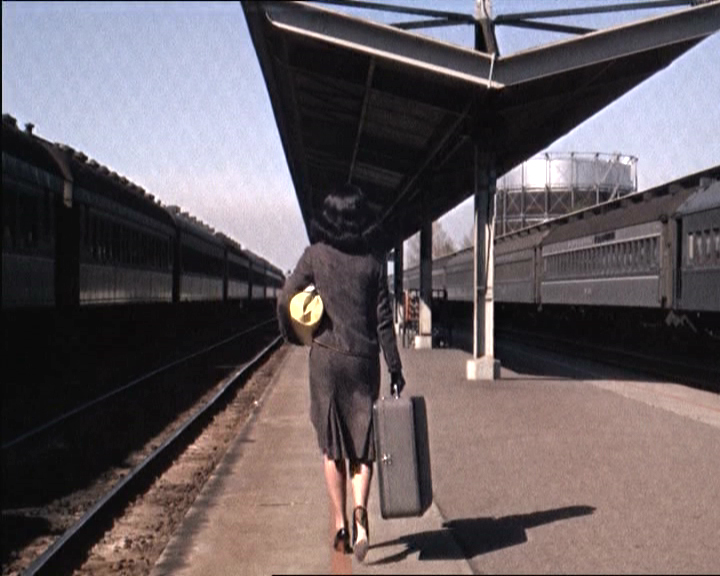 The opening shot of Marnie walking down the train platform was shot at Diridon Station in San Jose. It's not suprising that local stories exist about the "filming" on Sanders Street. I used to hear all the time about Atlanta locations being used for Gone With The Wind when, in fact, no locations were used at all apart from a shot of a riverboat on the Mississippi. While staying at the Vertigo Hotel in San Francisco a few years ago a very young bartender told me that Hitchcock got the idea for the film by staying in what was the Empire Hotel at that time (and which is seen in the movie). Of course, Hitchcock stayed at the Fairmount during filming and had earlier conceived of the film by reading D'entre les Morts which was penned by Thomas Narcejac and Pierre Boileau with Hitchcock expressly in mind. Great and popular films often generate these stories by folks living in the real or imagined locations seen in the movies.